John Cooper Works Mufflers for R55 MINI Cooper S Clubman. 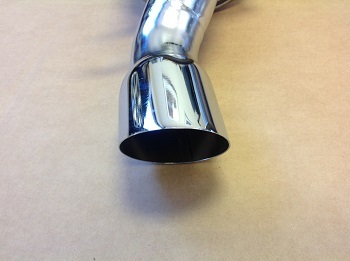 If you have a MINI Clubman S and want to get a little more sound but have the factory fit, and not be too loud these may be the exact exhaust muffler setup for you. Very simple to install by just cutting off the factory mufflers and sliding on the new mufflers and using clamps from the kit to connect to the factory exhaust pipe. These mount to the stock exhaust hangers. 2012 R55S. I wanted a bit more aggressive tone for the car but didn't want to go full track car loud with the exhaust sound. This factory JCW muffler kit along with deleting the resonator did the trick. As a CA registered car I still have a catted DP and the secondary CAT. This combination of these mufflers and deleted resonator with the sport button engaged is perfect for a daily driver with a little bit of attitude sound with the burbling and pops. No drone at any speed and the tips look great at the rear bumper. Highly suggested. Thanks for working with me on this Way.